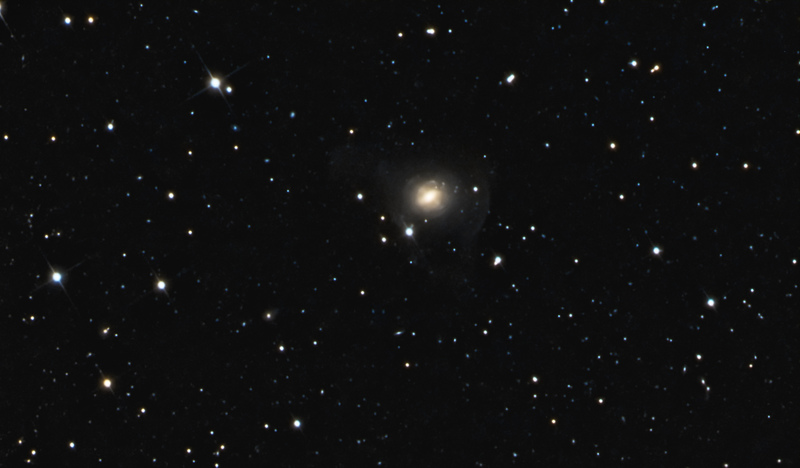 Description A Shell galaxy is an elliptical galaxy that is surrounded by faint arcs or shells of stars, often more blue than the galaxy as a whole. Shell systems have a variety of morphologies; some galaxies have shells transverse to the major axis and interleaved on opposite sides of the centre of the galaxy, while other galaxies have shells distributed at all position angles. The fraction of field ellipticals with shell-like features is at least 17% and may be as much as 44%. They may be the result of galactic cannibalism. 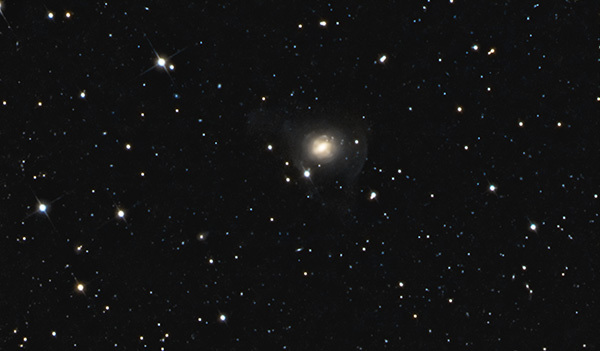 NGC 1210 in Fornax is a good example. The total magnitude is 13.5 and the size is 2.0' x 1.7'.